Many of us have to fly on airplanes. For some, it is quite a usual thing or part of the work, for others - a lifetime event. And in the, In both cases, the comfort and experience of flight is directly dependent on the location, on which the passenger sits. It's not a secret to anybody, what, as in any other form of transport, on the plane, there are places and not very good. About tom, which places are the best, and how to make it in time to fill them we will cover in this article. many people know, what, buying a plane ticket, passenger does not choose a place. 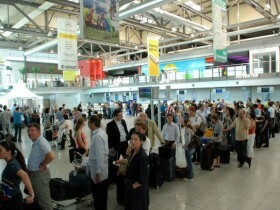 Often, it is determined by a few hours before departure, during check-in. Is it possible to take your favorite places before? 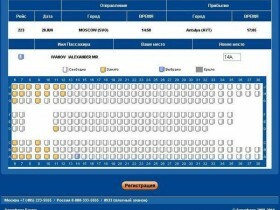 Usually it starts for 24 hours to voyage (aeroflot, Transaero). Some companies (Emirates) to book a place, you can have a month before departure. In some airlines this service is non-existent. Also, online registration is not seen on charter flights. To register over the Internet, we need e-ticket (e-ticket), which is also sold online. This opportunity is given by almost all airlines, therefore, at this stage, problems should arise. The ticket can be printed on paper, and can and does represent a normal computer file. the main thing, it must contain a unique code - booking number. The corresponding line enter reservation number, which is indicated on the ticket. This will open a window with a diagram of the cabin and the designation of places. It only remains to choose the liked the place. That's all. 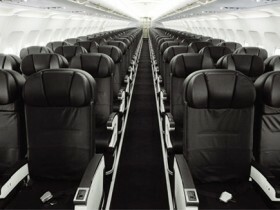 by the way, the presence or absence of baggage does not affect the reservation of seats. Luggage just give up at the airport. Book a suitable place can be on the stage of the purchase of the ticket, but most of this service paid. However, reserving space in such a way, you know immediately, where you sit. This type of reservation It recommended for long-haul flights, when you have to sit still for hours on end. Many passengers prefer to overpay a little, than to turn into many hours of flight meal. If you book the desired location could not advance, all is not lost. At check-in you can ask for a specific place. The operators themselves that often do not offer, as it is for their extra work. However, many airlines have such a service, and it is possible to demand. Of course, to get the best seats, We need to try come to register as early as possible. However, even if you go to one of the last, you can still "try their luck" and ask about free places. Quite possible, that the passengers did not know to turn the possibility of ordering certain places and still have a choice. The most comfortable and prestigious places considered in the forefront, following the business class. Also in great demand place at the emergency exits, however there are a few cons. case emergency namely passengers, located closest to the emergency exit should be as soon as possible to open it and help others get. therefore, if you are not prepared to take decisive action in emergency situations, better places not choose. Now you know, which seats on a plane is best to choose and how they can be booked in advance, to fly to their destination with maximum comfort.